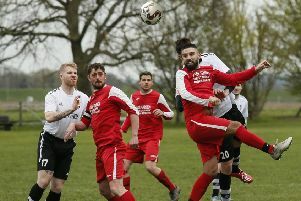 Kempston Rovers have made a third new signing ahead of their first season in the Southern League. Former Cogenhoe full back Damon Herbert has joined the Wanut Boys for the 2016/17 campaign. Joint manager Jimmy Stoyles said: “Damon was at Cogonhoe last season and this is where he caught our eye, a no nonsense defender who likes to defend, speaks very well on the pitch with a decent left foot and fits the group very well. Kempston’s historic first fixture in the Southern League Division One Central is at home to Aylesbury on Saturday. This is then followed by the short trip to county rivals Arlesey Town on Tuesday night.